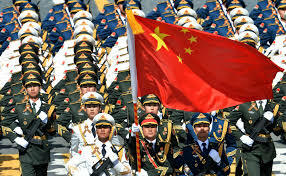 In late May, the People’s Republic of China (PRC) released a white paper on China’s Military Strategy. This public release is the first of its kind, and it has received relatively little attention in the broader media. While much of the strategy is of no big surprise (broad and sweeping claims to reunification of Taiwan with mainland China, China’s rights to territorial integrity, self-defense of “China’s reefs and islands,” a nod to “provocative actions” by some of its “offshore neighbors” (read Japan)), there was one part of the strategy that calls for a little more scrutiny: civil-military integration (CMI). According to the Strategy, China will follow “the guiding principle of integrating military with civilian purposes and combining military efforts with civilian support.” In other words, China is seeking to “coordinate national defense development and economic development and deepen the integration of the military and civil sectors.” The entire purpose of which is to “strengthen China’s national defense and the combativeness of its armed forces.” The PRC views the intertwining of civilian science and technology sectors with its military as necessary to gain a leading edge over any potential adversary. Indeed, “China encourages joint building and utilization of military and civilian infrastructure, joint exploration of the sea, outer space and air, and shared use of such resources as surveying and mapping, navigation, meteorology and frequency spectra.” In short, it plans on imbedding the military with everything. This strategy extends even the scope of the U.S. military industrial complex. While the U.S. version seeks to unite the interests of national government, the military, military-industrial firms and policy makers, the Chinese version actually seeks to intertwine the entire economy and the people into one “holistic” vision. The worry, particularly when viewed from the joint-venture/joint-enterprise version is that everything becomes dual use. Normally, we think of indiscriminate attacks as either indiscriminate by means (munitions that cannot discriminate between combatants and civilians) or as the result of a particular method (indiscriminately using weapons that can by their nature discriminate, such as firing on civilian centers). The Chinese version, however, turns the “methods” on its head. For here, the state policy is to turn any method of war into one that is inherently indiscriminate because the state is intertwining everything, and thus everything becomes “dual use.” Yet if everything is “dual use,” then nothing is either civilian or military . Dual use becomes a meaningless term; everything is a military target, and there is no longer a protected civilian sphere. The state policy perverts the protections of international law in such a way to either endanger its own people (for they are all effectively now targets) or to effectively use them as human shields. One might object here and claim that just because the PRC is attempting to kill two birds with one stone by investing all monies into civil and military industries, this does not in fact make civilian populations and infrastructure legitimate targets in war. There is still the rule that one is only permitted to attack military objectives, and those objectives are dictated by an object’s “nature, purpose, location and use” and its “effective contribution” to the war effort, and if by destroying that object one gains a distinct military advantage. Tanks are still tanks, jets are still jets and aircraft carriers are still aircraft carriers. This is at best a very hopeful reading of international law, and at worst a dangerous one. For it ignores the first prong of the test – that an object by its nature, purpose, location or use makes an effective contribution. If the Chinese military requires all semi-conductors to be built by a particular company in China, then it makes perfect sense to attack that company and its factories, for this will effectively diminish the Chinese military’s ability to create new weapons systems, manage command and control and logistics. Yet, it could also disrupt much of the ability of the Republic to function economically as well. However, we are not just discussing semi-conductors but the integration of infrastructure and almost all technology. In short, it is almost everything. The fact that China is purposively intertwining its sectors in this way threatens to turn much of the work of international law on its head. By trying to “improve” its “systems and mechanisms of national defense mobilization” China is in effect claiming that if anyone goes to war with it, it will have to be a total war; there is no possibility of anything else. In a timely, though perhaps not direct response, the United States’ new Defense Department Law of War Manual recently declared that the US is permitted to kill civilians if “a commander determines that taking a precaution in attack [the “precautionary principle”] would result in an operational risk (i.e., a risk of failing to accomplish the mission) or an increased risk of harm to their own forces.” Moreover, in addition to completely abandoning the precautionary principle, the new Manual also takes a new twist on the killing of civilians regarded as “human shields.” As one commentator on the DoD’s new policy sums up, the new policy entails that “harm to human shields, no matter how extensive, cannot render an attack unlawfully disproportionate” because human shields – whether actively or passively shielding—do not count against a proportionality calculation when attacking. Returning to China’s new military strategy and how it results in either making distinction impossible (and meaningless) or effectively makes the entire country one large human shield, the counter-strategy–at least from the US’ new reading of international law–would lead one to a reductio ad absurdum: If the US and China were to go to war against one another, then all of China is a target because it is all dual use, and the civilians and civilian property are merely shields, and since they are shields, the US can kill the entire population without it being a disproportionate war! The major powers are on the move in redefining how they would like to maneuver militarily, and as usual, it is threatening some of the international legal bedrocks that seek to limit the destructiveness of war and the suffering of peoples. But at least in the cyber realm, many analysts have already conceded that the problem is that civilian and military initiatives and resources are so tightly entwined — not because of anyone’s decisions — but because of the nature of the technology and the way that it has developed. I’m thinking of the writing by the CIA and the NSA on the threats posed by the ‘internet of things’. And I”m not sure the situation which you’re pointing to is really unique just to China — the US has used things like military contractors for years, and particularly in the cyber realm, there’s a fairly high reliance on private corporations providing security, etc. I’d argue that perhaps the China are just acknowledging a reality which already exists, rather than seeking to create something new. Yes, it’s problematic from an international law perspective but it’s also unavoidable and perhaps inevitable. Hi Mary, You are correct that in the cyber realm the very physical structure of the Internet is causing these problems. However, I disagree with your point about private contractors and international law. The ICRC would claim that if they are participating in hostilities they are combatants. Various states can try to create subclasses of combatants, but in MHO, it is just a political ruse to get out of human rights obligations. I still think that China is really doing something far and away bigger– and different– than the US, and that the purposeful merging to science and technology with the military will lose what little distinction we have. While it is true that many universities receive funding for their research from the DoD, and that we have certain companies who are dedicated to the defense industry, it would be a far cry to say that the entire US economy is intertwined with the military. As to the IOT, you are onto something there, and it is really time for policy to be made on that front. Have you seen Patrick Tucker’s work on that? I have seen Patrick Tucker’s work, though I had trouble getting past his line about “a smart refrigerator playing a role in a massive spam attack.” Har de har.